A blank Survey will help the people involved and the company to gather feed backs and responses from the masses as fast as it can and in a more organize manner. This serves as a communication channel between the organization/company and the participants/ group of people chosen to answer the survey. 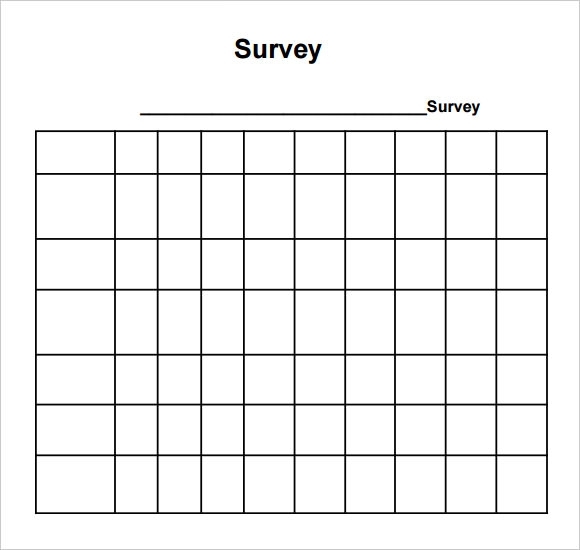 Here is a Survey template which is blank and ready for your use. You can enter quite a big detail from your survey as there is a huge space provided for you to accumulate data while surveying. 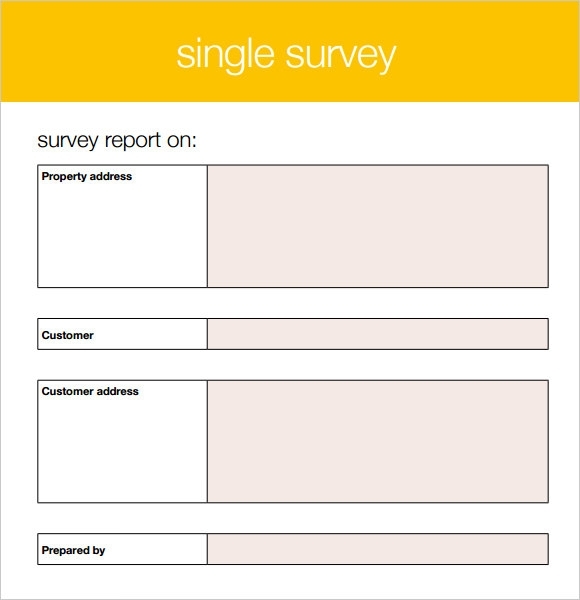 This survey template is quite a colorful template ready for your use available in word format. 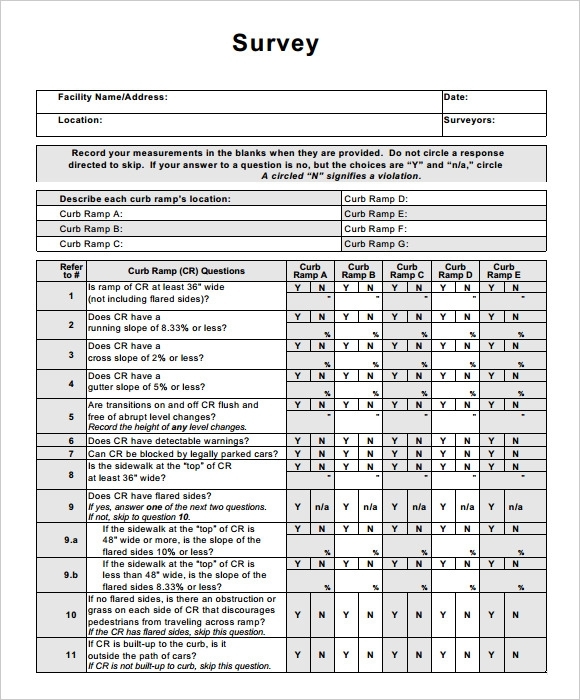 This is your tool for survey data recording which you can download and print without any trouble. Few required points are mentioned here as well. This Survey template is a complete form which is ready to serve your purpose with many fields already mentioned for your use. This template has separate categories mentioned in separate boxes giving the template a clear look. 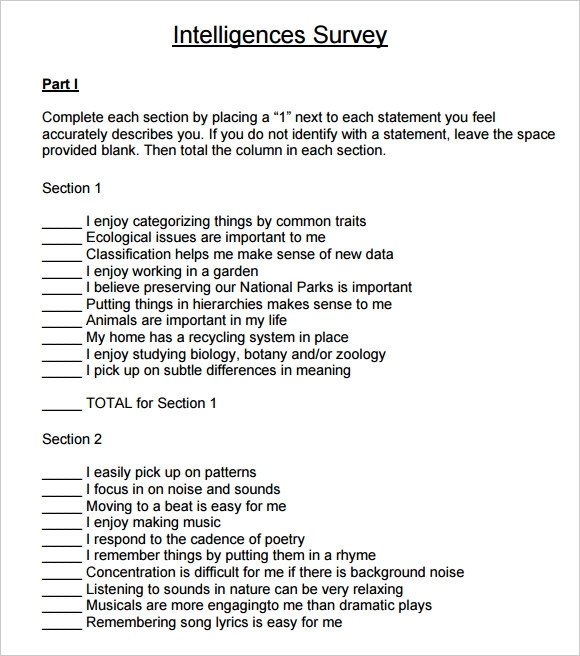 This template is blank but a complete survey from which you can just download, print and move out for your survey. 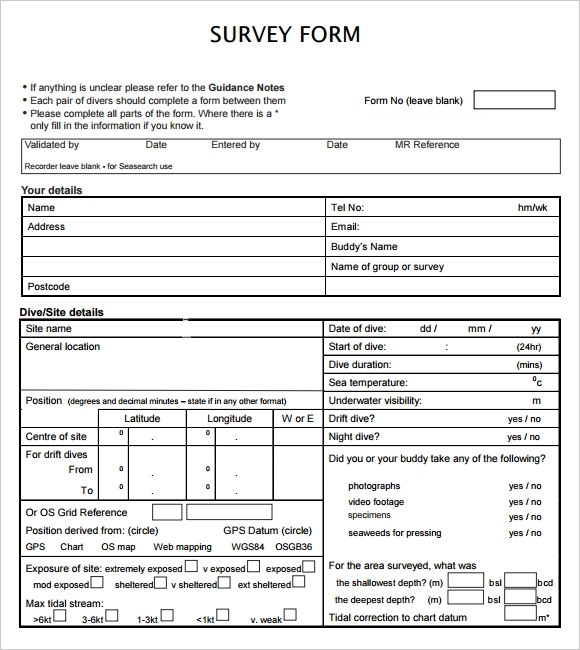 It has ready questions with answers in yes or no form which you just have to tick when on survey. The survey template will outlines the objectives and purposes of every company and this will emphasize the topics need to be stated and asked to the masses to have an accurate result at the end of the survey. The survey is made to be useful and help the people answer the questions that is hassle free and convenient way. When Do We Need A Blank Survey Template? A Blank Survey template serves you in saving your time and quickly start with the survey process which is very important to get a feedback and this feedback in turn helps the company to know about their faults and defects which are necessary for the smooth operation. The Blank Survey Template allows you to receive the feedback fast and work on it in a fast basis. What Are The Tips To Create A Blank Survey Template? A survey template is a one that you may take help from our ready to use templates or you may also create one as per your requirements. You first have to chalk out the basic question or objective which you are aimed to derive from the survey. Then based on your objective you have to frame your questions. You should remember to make your questions a mix of both open and close ended because few things may require a bit of detailing about the product or service. Also remember not to make the survey a lengthy one because it would create boredom for the respondents and they might not answer you with the exact response. 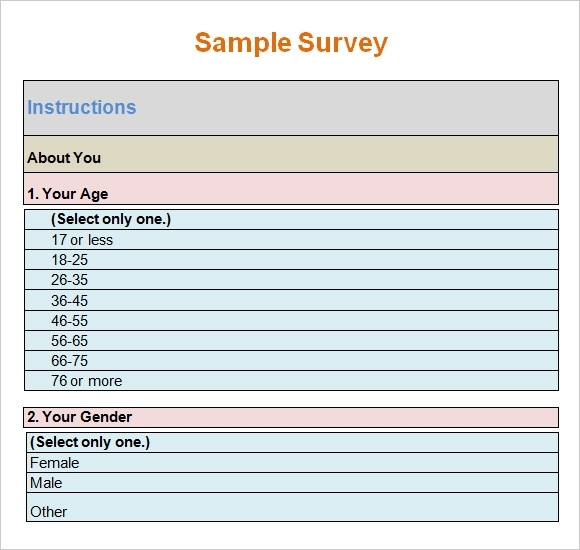 What Are The Benefits Of A Survey Template? When the majority of the respondents point out a particular issue then the company gets alarmed and keeps a note to make alteration on that particular issue before finally lunching the product or implementing the changes in the organization. 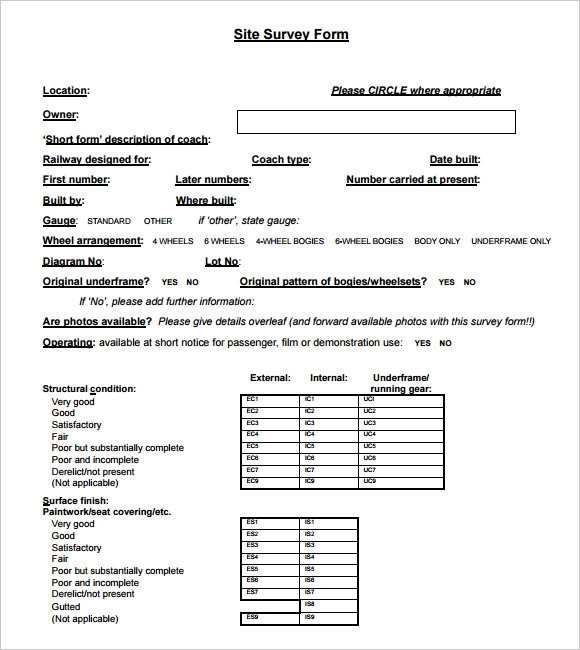 The Blank Survey templates available in our stock are easy to download and print providing you the comfort of ready template for your use. These templates are fully dependable and you may also make alterations as per your requirement and start with your survey procedure to get the best response and results from your survey.